News > Brand New Video Series! We’re thrilled to be launching a brand new four part video introducing some of the ideas and processes behind building a fabric strutcure. Building with textiles is a tradition which goes back thousands of years; from yurts made out of animal skins through to the Roman shade structures installed at the Colosseum, but the inclusion of technical fabrics within mainstream architecture has a more recent history. 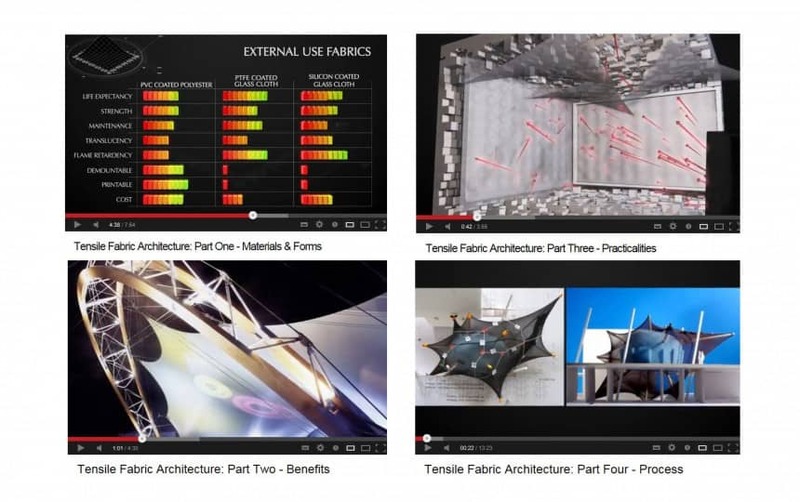 This video series is designed to inform, inspire and get people talking about the possibilities of working with fabric structures so take a moment to sit back and learn about the forms, materials, benefits, practicalities and processes of tensile architecture.